The Webby Award-winning #HiddenHerstory social media campaign returns for Women’s History Month. This year’s annual campaign commemorates women who have fought for women’s suffrage, civil rights and full equality. The #HiddenHerstory series will continue throughout March on all the museum’s social media platforms. Friday, March 8; 6:45 p.m.
“A Seat at the Table: On Race and the Creative Imagination will” occur in the Heritage Hall Friday, March 8, and feature MacArthur Foundation Fellow and National Book Award-Winner Claudia Rankine. Rankine will participate in a reading and discussion about her book The Racial Imaginary: Writers on Race in the Life of the Mind, moderated by poet and public interest attorney Brian Gilmore. Saturday, March 9; 12 p.m.
To help kick off the month, the Robert F. Smith Family History Center will host “Black Gotham” featuring University of Maryland professor Carla L. Peterson. Peterson will share research and compelling stories on a group of freed African Americans pursuing the American dream against the backdrop of the draft, riots and the onset of Jim Crow. This lecture will occur in the Robert F. Smith Family History Center on Level 2 of the museum. Reservations are encouraged at familyhistorycenter@si.edu. Saturday, March 16; 7 p.m.
For the month’s featured public program, Dwandalyn R. Reece, the museum’s curator of music and the performing arts, will moderate a panel of vocalists, scholars and critics to explore the legacy of Nat “King” Cole, including his artistic, social justice and entrepreneurial impact. The museum’s program kicks off a host of special events, projects and programs commemorating the 100th anniversary of the birth of Cole and occurs one day before his birthday. Along with his trailblazing musical career, Cole is recognized for his contributions to the struggle for civil rights and racial equality. To help celebrate the global entertainment legend’s centennial year, artists including renowned vocalist Gregory Porter will perform musical selections. 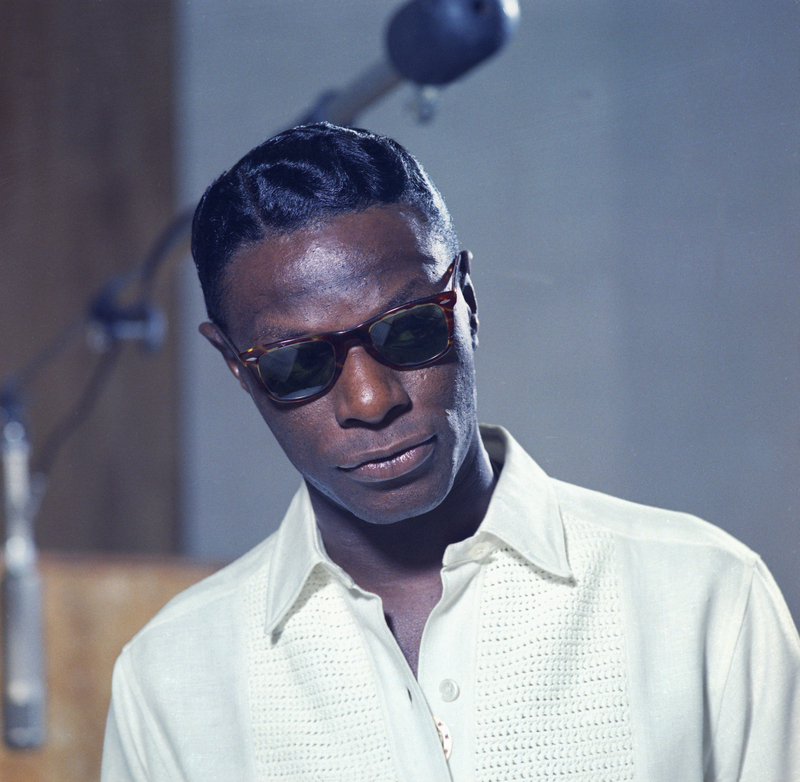 Porter’s latest musical release Nat King Cole & Me earned a nomination during the recent 61st Annual Grammy Awards. The program will be broadcasted live on the museum’s u-stream channel at ustream.tv. The program is supported by The Atlantic Philanthropies. Wednesday, March 20; 11 a.m. to 2:30 p.m.
District Treasures provides registered guests the opportunity to attend one-on-one sessions with preservation specialists and receive a professional review of family treasures. Attendees will gain insight on the historical significance of their items and learn best practices for preservation. The March 20 session will focus on photos, paper, books, objects and textiles. The program serves as an audience engagement and educational enrichment opportunity for all. Registration is encouraged at www.etix.com. Sunday, March 24; 3 to 5 p.m. The museum will screen “Clementine Hunter’s World,” a short documentary on the life and work of self-taught Louisiana artist, Clementine Hunter (1887–1988). Written and directed by Art Shiver, the film explores the importance of Hunter’s artistic production and the history of Melrose Plantation, where she lived and worked throughout the duration of life. Panelists include Tom Whitehead, Hunter biographer; Molly Baker, former Melrose Plantation site director; and Henry Price, Caddo Parish School Board supervisor of art. Tuliza Fleming, the museum’s curator of American Art, will moderate the discussion. Registration is encouraged at www.etix.com. A previously unknown portrait of abolitionist and Underground Railroad-conductor Harriet Tubman will go on display in Heritage Hall Monday, March 25, and will be on view through Sunday, March 31. Afterwards, the photograph will be relocated to the exhibition “Slavery and Freedom” on the C3 Level of the museum. Two years, ago, the National Museum of African American History and Culture and the Library of Congress jointly acquired the photograph as part of a photo album of Emily Howland (1827–1929), a Quaker school teacher who taught at Camp Todd, the Freedman’s School in Arlington, Virginia. Visitors may walk up for entry without a pass Monday through Friday beginning at 1 p.m. to view the photograph and visit the museum. Friday, March 29; 10 a.m. to 5 p.m.
For the museum’s first photography symposium, photography historians and visual culture scholars will explore and discuss the significance of early works by and about African American image-makers. This program coincides with the publication of the seventh volume in the “Double Exposure” photography book series, “Pictures with a Purpose.” The daylong symposium is supported by the Phillip and Edith Leonian Foundation and hosted by the museum’s Earl and Amanda Stafford Center of African American Media Arts (CAAMA). Though the event is free and open to the public, registration is required. Tickets are available at www.etix.com. Saturday, March 30; 7 p.m. The Earl W. and Amanda Stafford Center for African American Media Arts (CAAMA) in collaboration with the Center for the Study of African American Religious Life (CSAARL) and NPR Music present the Washington, D.C., premiere of Amazing Grace, a documentary of the live recording of Aretha Franklin’s album Amazing Grace at The New Bethel Baptist Church in Watts, Los Angeles in January 1972. A post-screening discussion will conclude the program. Registration is required at www.etix.com. Since opening Sept. 24, 2016, the National Museum of African American History and Culture has welcomed over 5 million visitors. Occupying a prominent location next to the Washington Monument on the National Mall in Washington, D.C., the nearly 400,000-square-foot museum is the nation’s largest and most comprehensive cultural destination devoted exclusively to exploring, documenting and showcasing the African American story and its impact on American and world history. For more information about the museum, visit nmaahc.si.edu, follow @NMAAHC on Twitter, Facebook, Instagram and Snapchat—or call Smithsonian information at (202) 633-1000.